Big city excitement and small town charm make Portland, known as “the City of Roses,” a favorite destination. Portland, situated approximately 70 miles from the Pacific Ocean where the Columbia River meets the Willamette River, has a magnificent setting, combining sparkling waterways with lush greenery rarely found in urban settings. Portland’s historic old town, many galleries and museums, Saturday Market, Waterfront Park, and theater companies will keep you busy for weeks! Also, Portland is just a short distance from the spectacular Columbia Gorge and Multnomah Falls, windsurfing at Hood River, touring at valley wineries, skiing at Mt. Hood, fish watching at Bonneville Dam, and all of the excitement of the Oregon coast. Portland is known for its extensive park system of more than 200 parks. These encompass such areas as the elm shaded South Park Blocks in the downtown area, Washington Park, home of the Rose Test Gardens, Mount Tabor, an extinct volcano, and the biggest park, Forest Park, which is the largest park within a city in the U.S. From the over 4,600 acre Forest Park to tiny 24 inch Mills End Park, Portland’s park system offers leisure and recreation opportunities for everyone. Portland’s award winning mass transit system is one of the most extensive and advanced in the United States. The transit system includes buses and the MAX, an urban light rail line, as well as a downtown transit mall. Short blocks make Portland a walker’s paradise. The public art and old fashioned statuary, along with many fountains, bridges and parks offer opportunities for leisure and contemplation for the casual stroller. For the more adventuresome walker, Forest Park has approximately 50 miles of trails. Nightlife adventures in Portland are excellent and varied. On top of the list is the internationally-known Oregon Symphony. Portland also has many local pubs and brew houses that feature jazz and blues. Be sure to visit the various comedy clubs and try the art gallery walks in the Pearl District. The performing arts in the area offer ballet, Shakespeare, Broadway musicals, modern dance and much more. 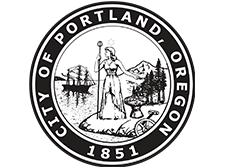 Portland is the home of the Trail Blazers professional basketball team and the Timbers professional soccer team, and also has hockey and baseball for sports fans. Stroll along Tom McCall Waterfront Park, with its lawns, outdoor cafes, river walks and marinas. Enjoy the dancing waters of the Salmon Street Springs fountain, then walk a little farther to gaze at magnificent, snow-capped Mt. Hood. Take the kids to OMSI, the Oregon Museum of Science and Industry, for an exciting visit at a state of the art science center, including the giant screen Omnimax theater, the laser art planetarium and many interactive exhibits for children and adults alike.